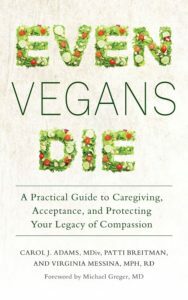 Twenty or so years ago, when I first started working for PCRM, I was a brand new vegan—and very interested in what other vegans were eating. This was before Gardein, Daiya cheese, and Vegenaise eggless mayonnaise. It wasn’t hard to be a vegan, but it wasn’t as easy as it is now. During lunch one day, when we were all comparing menus and cooking tips, one co-worker said that her dinner menus consisted of three rotated items: pasta with sauce from a jar; Progresso Lentil Soup, and veggie burgers. At that time, I was kind of surprised to meet a vegan who didn’t cook. But I’m not surprised any more. 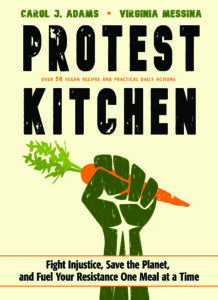 In fact, like many omnivores, a lot of vegans don’t want to spend time in the kitchen. Convenience (along with cost and taste) is a driving factor behind food choices these days. I’m happy to see so many vegan convenience products on the market because I want people to know that you don’t need to spend hours at the stove in order to be vegan. On the other hand, of course, you can if you want to. There are some great cookbooks and blogs for those who like to fuss over dinner a little bit. And we need both approaches. We need people to know that you can slave over fabulous gourmet meals made from fresh ingredients, or you can pretty much slum it and eat out of a can, which is a perfectly respectable vegan approach, too. Many of us might like something in-between, though. And so I offer here my own approach to eating, which is “plain food, topped with really great sauces.” I usually cook up big batches of basics a couple of times a week—brown rice or quinoa, a pot of sweet and white potatoes, steamed veggies, and braised chunks of tofu. These are always on-hand, ready to heat and eat. Of course, they aren’t very exciting all by themselves. But they are quickly turned into something special when topped with a vegan sauce. And it’s easy to whip up a different sauce for dinner each night or one that will get you through several meals. 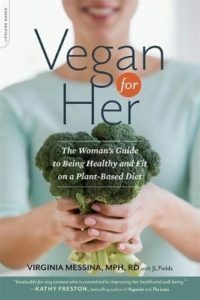 When I mentioned to my friend Jo Stepaniak that I was writing this article, she reminded me that this approach inspired her cookbook The Saucy Vegetarian (which, like all of Jo’s books, is vegan). So if you like this approach to meal prep, I highly recommend her book. And I’ve included one of its recipes below. Here are the sauces I use most often. They are all pretty easy and, because they are all good sources of protein, you can just dollop them over rice or potatoes and veggies, and call it a meal. A slightly sweet sauce; nice to serve with spicier foods. Heat the oil and sauté onion and garlic until tender, about 8 minutes. Stir in tahini and cook, stirring over very low heat, for about 5 minutes. Add the orange juice and just enough water to get a desired sauce-like consistency. Add the rest of the ingredients, increase heat to simmer and cook for about 5 minutes to heat through. This makes a lot and it’s rich, so you’ll get several meals out of one recipe. I love it over rice, tofu, and vegetables. Heat the oil and sauté onions, garlic and gingerroot for about 8 minutes or until onions are tender. Add the rest of the ingredients and stir to combine thoroughly. Simmer until thick and bubbly, about 20 minutes. If it gets too thick, just add a little bit more water. This is from The Saucy Vegetarian. It’s fast and easy and delicious! Jo recommends serving it over asparagus spears, carrots and green beans, or kasha. I tried it on sweet potatoes and it was wonderful. Combine all the ingredients in a blender or food processor and process until smooth and creamy. Chill thoroughly. Stir before serving. From my friend Kate. She says it’s great over a baked potato. Heat the oil and sauté the onions for one or two minutes. Add the mushrooms and cook for another two minutes. Stir in the flour. Add the broth and miso, stir over medium heat until thick. Add a little bit of water if it gets too thick. From the cookbook Vegan Yum Yum and reprinted here with permission. This is technically an Alfredo sauce for pasta, but it is delicious over veggies, potatoes, rice, or almost anything you can think of. Serve over cooked pasta or vegetables or anything you like. Ginny, thank you so much for these tips! I just started a new job that involves a long commute and I've been looking for quick ways to make yummy lunches without a lot of prep time at home. These will be fantastic! *This is, of course, a joke. These look delicious. Can't wait to try them out. Just posted a link to this blog on my Uptown Nutrition Facebook page! Thanks, Ginny! These are perfect! Not truely vegan when you add oil. Read Engine 2 diet. No meat, no diary, and no oil. 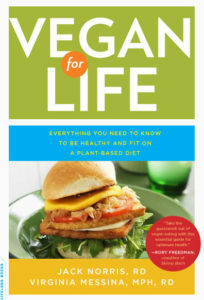 Dean, “vegan” refers to a lifestyle that doesn’t include any animal products. Oil is fine in vegan diets. 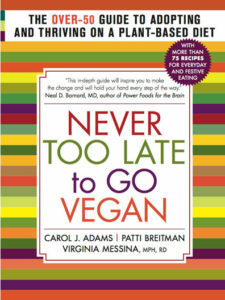 I am a no-fat Vegan (McDougall/Fuhrman/E2), but there are many Vegans that do incorporate oil in their diets. With that said, I have made many vegan ‘w/oil’ recipes and have simply omitted the oil, which 95% of the time is only in the list of ingredients to aid in sautéing. So, I sauté without it, and if the oil is necessary to aid in creaminess, I substitute using raw cashews, avocado, banana…there are always possibilities! Can’t wait to try some of these sauces! We need fat in our diet. Our society has gotten “no fat’ obsessed and it can have repercussions for our health. We needs fats for our brain development for instance.